Robert Farris Thompson could not have said it better. Thompson is the Colonel John Trumbull Professor of the History of Art at Yale University. 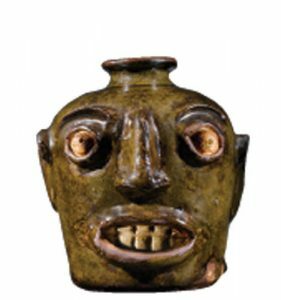 He was speaking of stoneware face jugs that were made in the Old Edgefield District of South Carolina shortly after the arrival of some two hundred enslaved Africans, mostly from the Kingdom of Kongo, in 1858. Read More: Art That Roars: Afro-Carolinian Face Jugs » The Epoch Times.